Fallout 76 is receiving more than its share of negative press. Bethesda took a beloved franchise and dramatically changed its foundation. Any move like this is expected to generate a decent amount of controversy, however, Fallout 76 is also undeniably sub-par. The Gigamax Games crew are fans of the game as a whole. They’ve spent hours and hours exploring the larger-than-life in-game world, and when it works, it's incredible. Both Gigs and Mack constantly find themselves pointing out every aspect that makes them love it. Yet, sadly, it is deeply flawed. The clip above is from a recent Gigamax PowerHour stream. After an hour-long run to launch a Nuke, the game crashes. Even more from Gigamax Games! For more gameplay and the latest Fallout 76 videos, visit the playlist page. Don’t forget to Subscribe to Gigamax Games on YouTube for new videos every week! New articles available every Monday, Tuesday, and Friday, right here! Rage follows this unfortunate display of Bethesda’s inability to keep gamers play experiences uninterrupted. There is so much Fallout 76 has to offer but the server instability, plentiful gameplay bugs, and constant hard crashes keep people from investing their time in the beautiful world. Find the full stream, below. Even with all its issues, Gigs and Mack are hopeful that Bethesda will continue to support and improve Fallout 76. Right now, the game might not be what gamers expected, but there’s still a chance. Games like No Man’s Sky prove that a games initial release doesn’t always determine how a title will ultimately turn out. 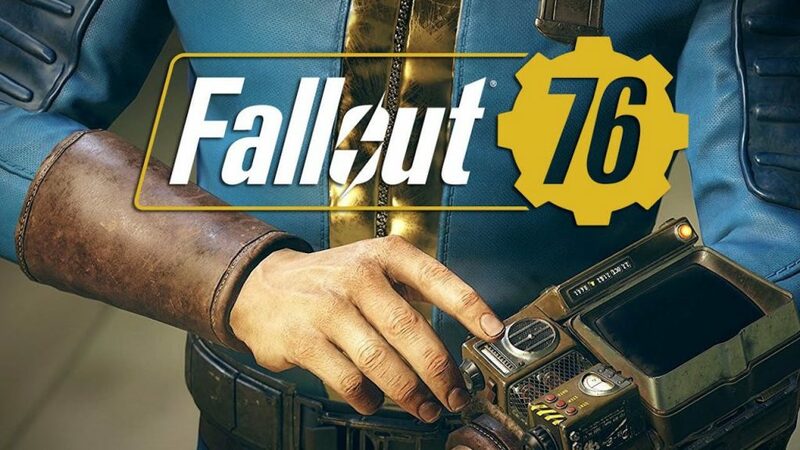 Gigamax Games will be keeping a close eye on the evolution of Fallout 76. It will be interesting to see how Bethesda bounces back from the embarrassing release. This developer/publisher has an impressive reputation to protect. There’s no telling to what lengths they will go to ensure Fallout 76 turns out the way they intended. The world of Attack on Titan is chaotic at best. Filled with beasts, death, and sorrow, there’s no avoiding the incredible action that comes along with the story. Now, gamers have a chance to give their all against the Titans once again in Attack on Titan 2. Available on PlayStation 4, Nintendo Switch, Xbox One, PlayStation Vita, and PC. Gigs and Mack take a swing at surviving this universe where death seems all too common. Take a look at the gameplay below for a look inside Attack on Titan 2 on the PlayStation 4. Overall the game’s combat mechanic is what really makes it shine. 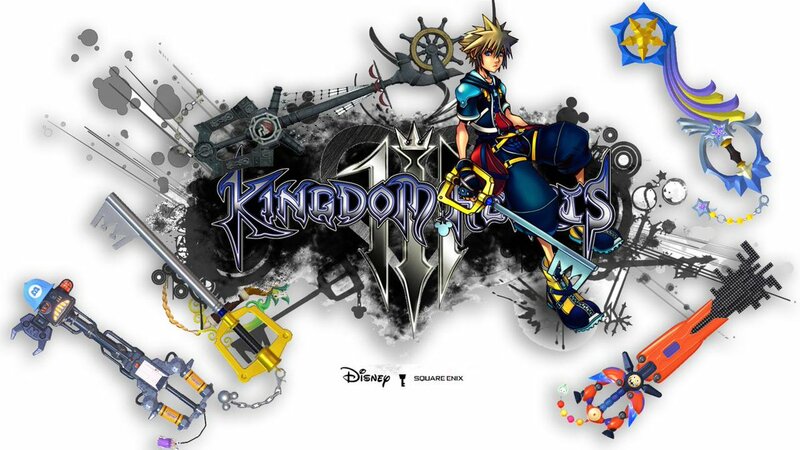 An RPG at heart, the story progresses slowly at first but is meant to build the tension the series is known for. Its graphics aren’t anything spectacular and the small hub city in which the game is centered doesn’t really add that much excitement or wonder. 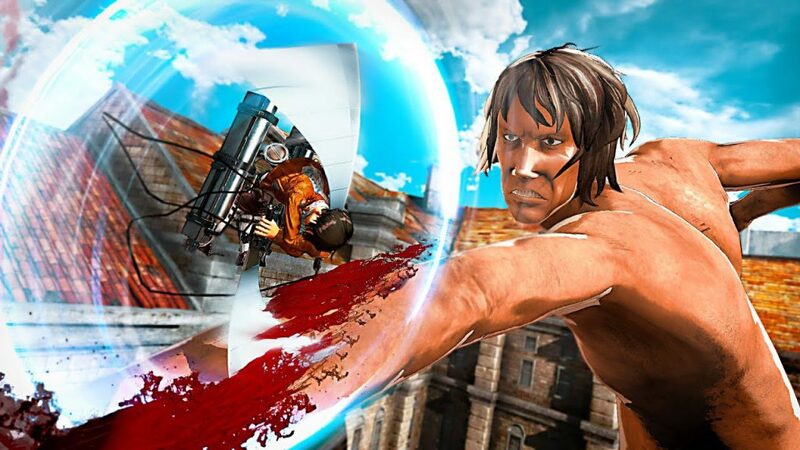 Attack on Titan 2 shines when Titans are attacking and gamers swing across the landscape with their maneuver gear, taking down whatever threat is in their path. Titans come in all shapes and sizes and that is still true in Attack on Titan 2. Their unpredictable movements and almost comical appearance are all in-line when compared to the anime. However, the Titans are much less willing to kill people outright and this gives the gamer a chance to play around with their Titan killing abilities rather than frantically trying to down every Titan as quickly as possible. The game itself isn’t anything mind-blowing but the combat is truly spectacular. Attack on Titan fans might want to give it a try but if anyone is on the fence, take a look at the gameplay above before making the purchase. Thank you all so much for taking the time to stop by. It means the world to everyone here at Gigamax Games. If you want to see more Attack on Titan 2, leave a comment below or on the video! Sea of Thieves if facing mixed reviews. Some say its shallow while others are just happy collecting booty. No matter where gamers stand on the gameplay and amount of content, one thing’s for sure, this game is gorgeous. The Gigamax crew was a part of the closed beta for the game and was waiting patiently for the full game to release. Now that it’s here, let’s take a look inside and see what it has to offer. Beautiful landscapes and an amazing array of audio effects makes it easy to get lost in the Sea of Thieves adventure. Spend hours picking up voyages and completing challenges or simply hopping from island to island looking for unmarked adventures, the game seems straightforward. The thing that will throw crews for a spin is the nearly limitless amount of interesting, funny, and tense situations crewmates will find themselves in while exploring the high seas. Excitement can come from navigating the seas with friends. Sailing through storms, dangerous water, finding sunken pirate ships or naval battles with foes. 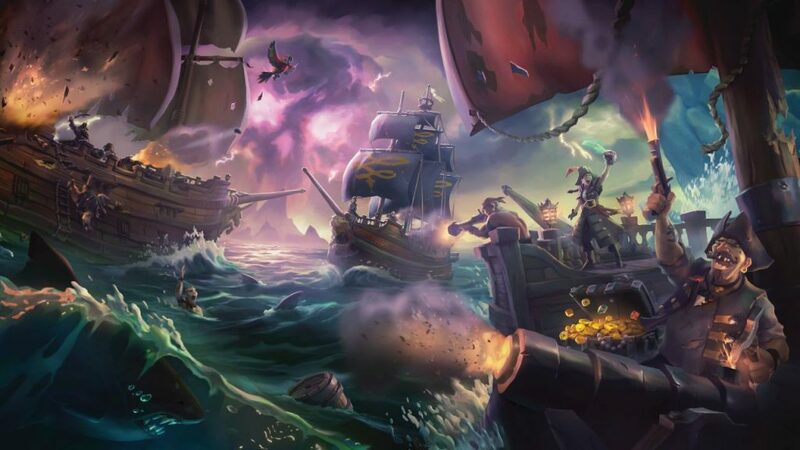 In fighting between crew could land someone in the brig or endlessly exploring the map, there are many ways to enjoy Sea of Thieves. Even playing solo is possible but playing with friends is absolutely the way this game was intended to be played. Whether you can’t get enough of Sea of Thieves or think it didn’t hold up to the hype, the Sea of Thieves playlist is sure to entertain. It’s expected that Rare will continue adding to this pirate adventure so be sure to check back soon for even more videos. The Gigamax crew is having a blast exploring the world and sinking enemy ships more streams will be on the horizon, too! Thank you for taking the time to stop by! Please, if you enjoyed the videos, Like, Comment, and Subscribe for more! After weeks of trying to stream this ridiculous fighting game, the Gigamax crew gave up and instead put a bunch of gameplay into one video. Anyone that has purchased Gang Beasts knows that the servers aren’t always to most reliable. Random disconnects, long wait times, or the servers not working at all is a common occurrence. Live streaming this simple, silly fighter was next to impossible. Below is the Gang Beasts playlist on YouTube. Every and any of Gigs and Mack’s Gang Beasts adventures will all be located in there. As the game continues to work through its bugs and fix their unstable servers, be sure to check back for even more Gang Beasts videos. This wacky fighter is nothing but a great time when it actually works. What’s Gang Beasts All About? Each map brings a new way to slaughter your ragdoll enemies. From dueling elevators to the speeding trucks, these lovable stumbling sprites find themselves in some extremely dangerous situations. It doesn’t seem to faze them however as they headbutt, punch, and throw their way to victory. The battles can get intense but the laughs never stop. Even with people dying all around you, it just doesn’t matter because if you’re next, it’ll probably just make you laugh. Thank you all so much for taking the time to stop by. Hope you enjoyed the video and be sure to stick around for more from Gigamax Games! 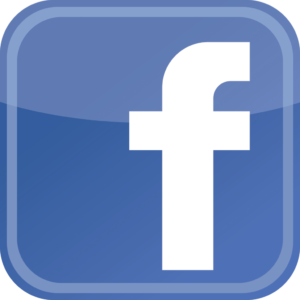 Don’t forget to Like, Comment, and Subscribe to stay up to date. Be sure to let Gigs and Mack what you want to watch them play. Leave a comment and the Gigamax crew will let you know when they’ll make a video of one of your favorite video games! Indie games have a special place in the Gigamax crew’s heart. For independent organizations, developing, producing and publishing a complete video game isn’t easy. These games are usually put together by small teams that pour their heart and soul into their adventures. Every now and then, Gigamax hosts the Indie Game Spotlight, showcasing some of the classics and new arrival to the indie game scene. This is a little look at the indie games the Gigamax crew has celebrated. 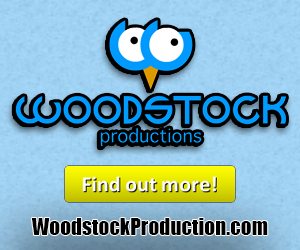 Be sure to keep checking back for information on upcoming Indie Spotlights! Find the Indie Game Spotlight playlist below! Some of the games that make up this playlist include Rocket League, Oxenfree, Cuphead, Enter the Gungeon, The Darwin Project and so many more. With more indie games being released all the time, you can be sure this playlist will continue to expand! To get a heads up on when the Gigamax Games crew will be featuring indie games on YouTube, follow them on Twitter and Facebook! Also, don’t forget to catch the streams every Tuesday and Thursday where Gigs and Mack play a wide range of different games and genres. Anyone interested in seeing what games are next on the stream schedule, stop over on the stream page for more information! Let’s celebrate all the hard work that has gone into these works of art. AAA games are of course usually more graphically appealing with larger worlds utilizing their bigger budgets but at the same time, they feel more sterile. When big corporations get their hands on the creative process of developing a video game, things start to change and often times suffer. Indie games avoid this kind of corporate input and instead, the teams create their own vision without the need to appease their bosses. This is what allows indie developers to truly push the envelope and develop the games they want to make. This kind of passion is worth celebrating and that’s exactly the goal of the Indie Weeks at Gigamax Games. Thank you all so much for taking the time to stop by. Don’t forget to Like, Comment, and Subscribe for the latest gaming content! Be sure to let the Gigamax crew know what you want them to play in the comments below! Skyrim has been around for years. Since 2011 people have been infatuated with this timeless adventure. Releasing on nearly every console since its initial release and now coming to the Nintendo Switch and Playstation VR, it’s calling for a revisit. 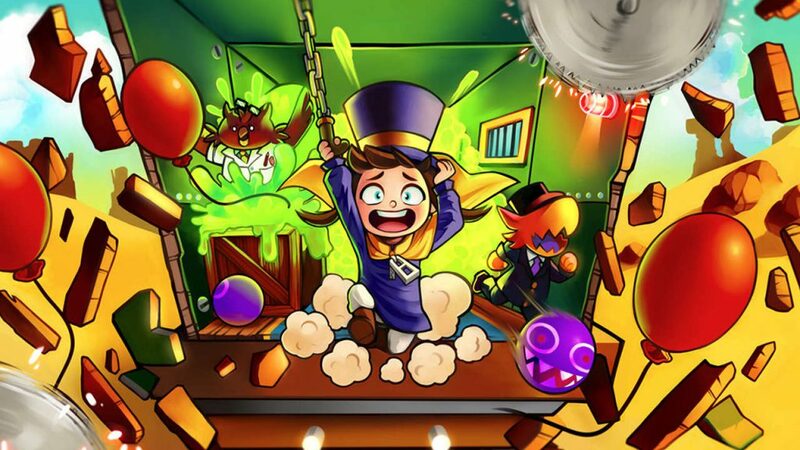 Gigamax Games will begin new adventures and show off hidden secrets as they work through all these exciting journeys. This will be the Let’s Play and Skyrim information hub as this Elder Scrolls adventure continues to expand. 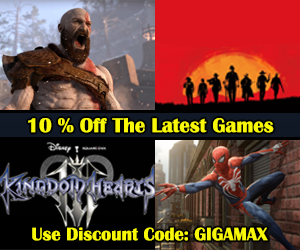 Some people can’t justify repurchasing a game they’ve been playing for over six years so Gigamax Games is here to show what it has to offer. Be sure to stick around for Articles surrounding the latest Skyrim information and future Elder Scrolls game information as it continues to develop. 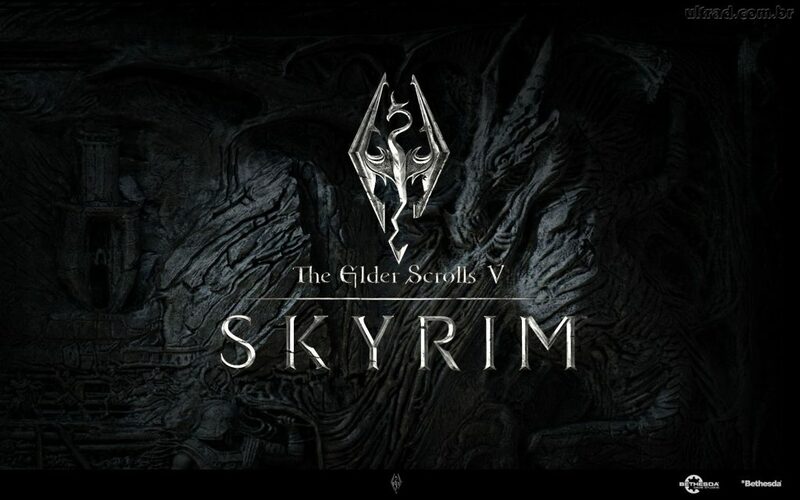 Skyrim is one one of the Gigamax crew favorite games. Gigs is the resident Skyrim pro, knowing the in’s and out’s with over 400 hours gameplay time and counting. Mack has been living in World of Warcraft since 2011 and is, believe it or not, playing the game for the very first time. These two perspectives add an interesting dynamic to Gigamaxs’ view on this incredible world. Whatever your experience with the classic game may be, the playlist above is sure to deliver a few laughs and more than a couple surprises. Hope you enjoy! Thank you so much for taking the time to stop by the Gigamax Skyrim – Let’s Play Page. All the latest videos will be automatically added to this page making it easy to keep up. For a game that is six years old, there is still a surprising amount of attention on this classic game. Don’t forget to follow Gigamax Games on Twitter, Facebook, Twitch, and Subscribe on YouTube! The Wolfenstein franchise has been around for over a decade and gamers were ecstatic to hear about this latest title. Staying true to their roots, MachineGames was able to get people excited about a single-player first-person shooter game. 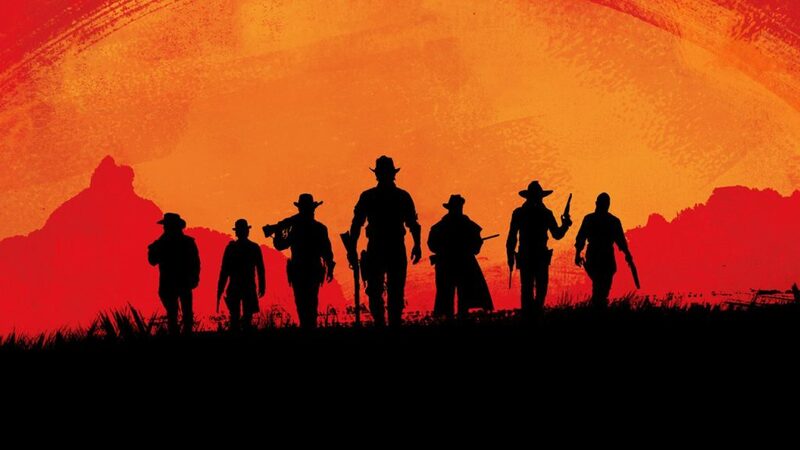 The genre has been scarce in modern gaming as most fps’ focus on the multiplayer element of their games and the campaign is usually an afterthought. Wolfenstein 2: The New Colossus knocked it out of the park with their take on the experience and it could have a bigger impact on the industry as well. Publishers and developers will be using Wolfenstein 2 as a guide in order to gauge the community’s interest. If this latest Wolfenstein game sells well, it could mean many more single-player first-person shooter games coming to modern consoles soon. The game overall is an incredible experience. Fast paced and extraordinary in terms of action, it was able to deliver true entertainment coupled with a fantastic story. America has fallen to the Nazi’s and gamers play as a resistance fighter ready to take back the United States of America. Not only is it an interesting story, it almost intentionally touches on important social issues in real life to pull even more emotion out of the gamer. This is a true patriotic story and it truly is a thrilling adventure. Even if a gamer never played a previous Wolfenstein, the game does a great job catching people up with the story. A quick and concise recap in the beginning of the game gives people a nice synopsis of the most recent Wolfenstein story ark. The New Colossus is the sequel to Wolfenstein: The New Order but it still remains inviting to those that didn’t have a chance to play the first game. MachineGames really did an amazing thing with this latest release. Thank you so much for taking the time to watch. Be sure to Like, Comment and Subscribe for more! Also, if you’re interested in creating content whether it’s video’s, articles or graphics, reach out to GigamaxGames@gmail.com and find out how to have your own featured page, here! The Evil Within 2 – Horror Special! The Evil Within 2 came out on Friday the 13th, 2017 and its timing was no accident. Developed by Tango Gameworks and published by Bethesda, they truly captured the psychological horror the first game created so well. Starting out with a more focused mission, the familiar faces and unfamiliar environments create the perfect atmosphere for this time of year. With Halloween right around the corner, the Gigamax crew thought this was the perfect game to celebrate the holiday season and The Evil Within 2 is a great fit. Now that The Evil Within 2 playlist is up and going, be sure to stay tuned for new episodes as Gigs and Mack work their way through this terrifying adventure. Gigs offers some pro-tips and Mack watches on, sweating and scared for their lives. One thing this game does very well is making sure the player never feels safe, not even the safe rooms can protect the gamer from the horrors of this world. Each step forward opens up the opportunity for anything to happen. The fact that The Evil Within 2 took all the terrifying elements from the first but completely left the liner story behind and instead changed to an open world gives the game a completely different feel. The open world leaves everything to chance and gives the player a feeling that they are in control in a world where nothing can be controlled. This makeup gives this horror game it’s extremely unique feel. Thank you so much for taking the time to watch. Be sure to leave a comment and let the Gigamax crew know what you think or what other games you want to see. Don’t forget to Like, Comment and Subscribe for more! If you want your videos, articles or other content featured on Gigamax Games, come here to find out how!